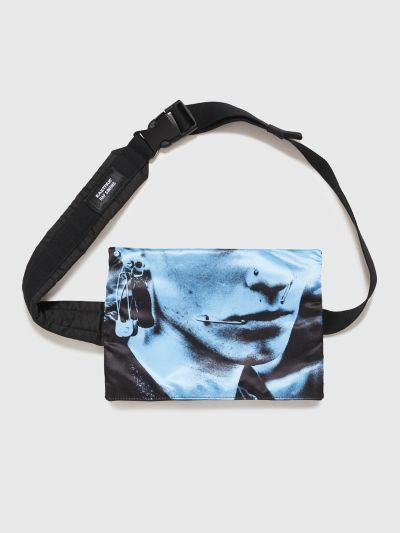 Waist bag from Raf Simons x Eastpak with poster motif on one side and several compartments on the other side. Zip closure on the top. Adjustable and padded waistband with large clasp. Co-branded label on the waistband. 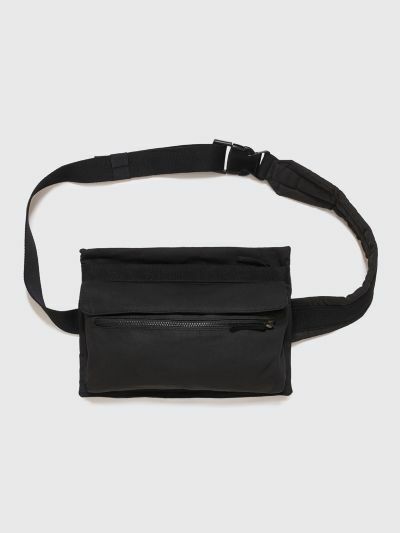 Black and blue waist bag. Made from 100% cotton and 100% polyester. Measures 23 x 32 centimeters.